Buy the best-smoked salmon you can find for this recipe – the way the rich fish plays against the delicious tanginess of crème fraiche is just wonderful. Crème fraiche is available in the cheese section of the dairy section of most supermarkets, and you can also order it online. It’s smooth and tangy, and it can be used in recipes either savory or sweet. After you fill a plastic bag with the mixture, let the kids pipe the spread onto slices of cucumber or small toasts or even mini potato pancakes. It’s a great task for even little ones. You can garnish these with minced chives if you like. Place the crème fraiche, cream cheese, lemon zest and juice, cayenne, and black pepper in the food processor. Pulse to combine well. Add the capers and smoked salmon and pulse until everything is well combined, but you can still see bits of the smoked salmon. Place the mixture into a sturdy plastic bag, and cut a small hole in one corner of the bag. 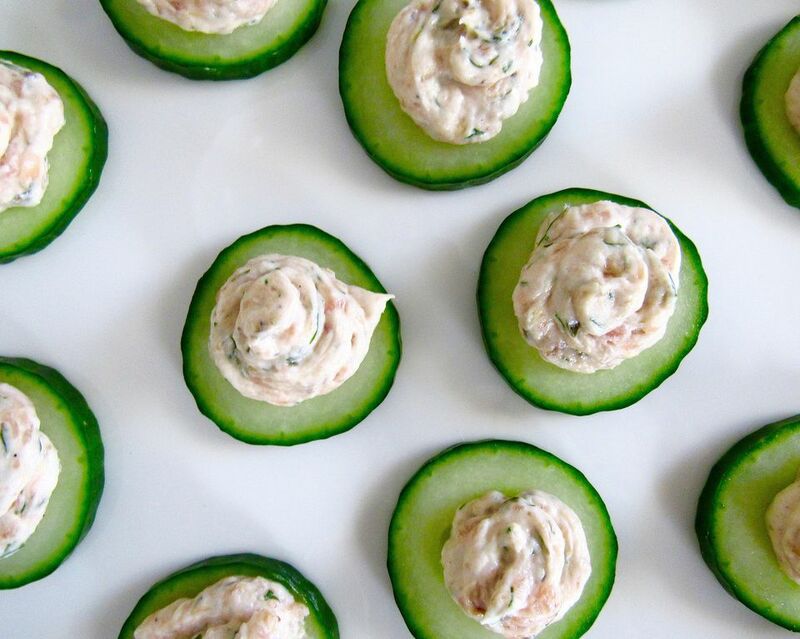 Squeeze about a teaspoon of the spread onto each cucumber slice in an attractive swirl.